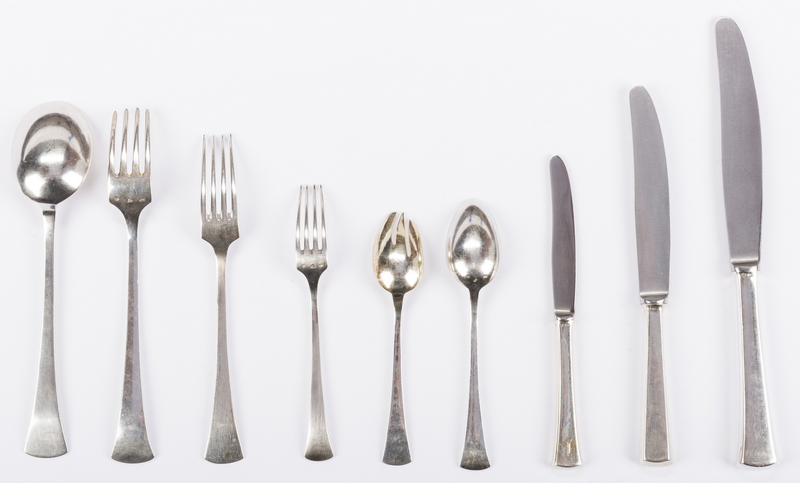 57 pieces silver flatware and hollowware. 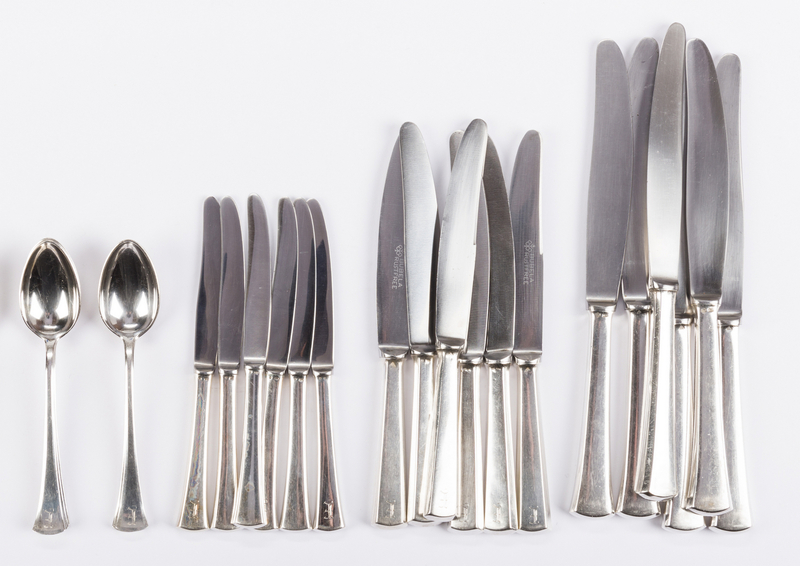 Includes a boxed set of 54 pieces Art Deco period Continental silver .800 flatware: 6 large knives (9 7/8" L), 6 medium knives (8 1/8" L), 6 small knives (6 3/4" L), 6 dinner forks, 6 luncheon forks, 6 dessert forks, 6 teaspoons, 6 ice cream fork/spoons, and 6 tablespoons or large round bowl soup spoons. 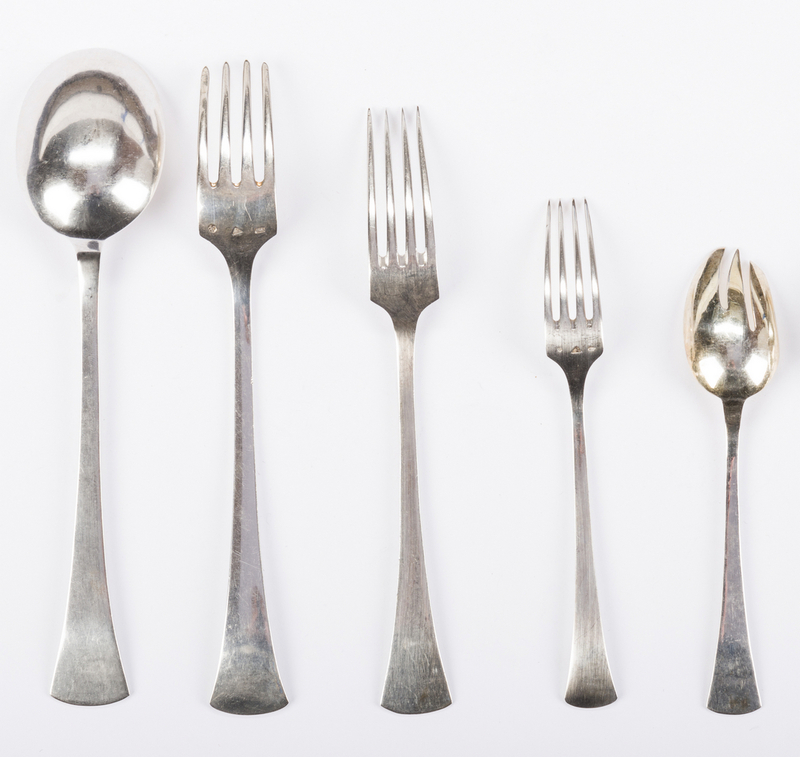 Large spoons and medium sized forks are marked KS in rectangle, and ice cream forks are marked OM in rectangle, while other pieces exhibit the flower mark attributed to Sandrik of Czechoslovakia. 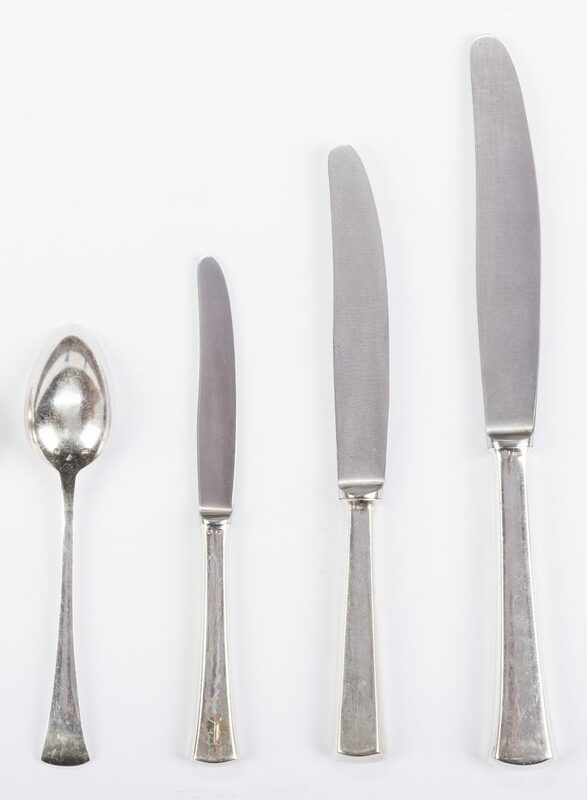 Combined weight flatware: 42.28 oz troy. 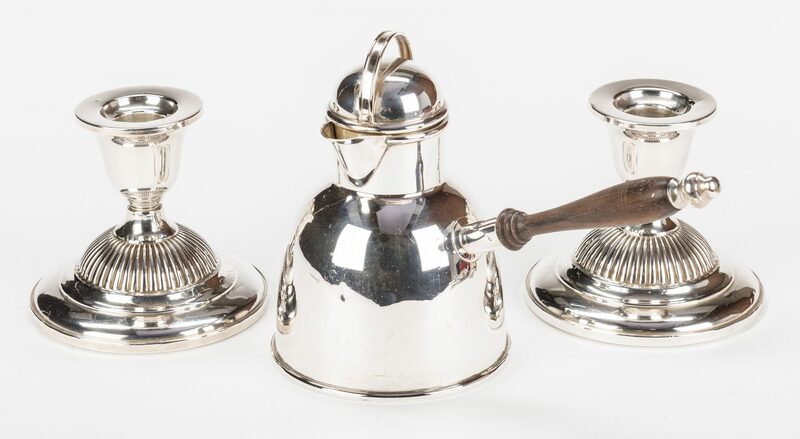 Czechoslovakian, circa 1930. 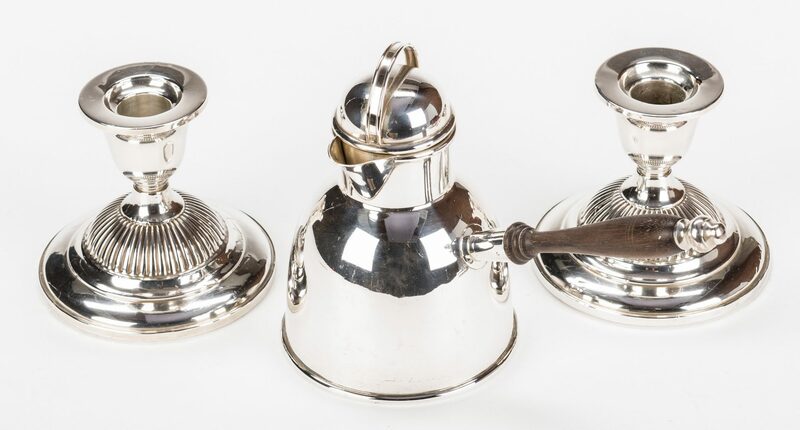 Also included are 2 Fisher weighted sterling candlesticks with reeded domed bases, 3 3/4" H, and 1 Art Deco style sauce pot marked El Sil Co Sterling with turned wood handle, 5 1/2" H, American, circa 1930. CONDITION: Some small dents to hollow handles of knives, 1 small dent to side of pot; overall all items in very good condition.